I often get phone calls – this happens to everybody that writes about wine – and sometimes at quite inconvenient times, from people asking what wine they should buy for a dinner-party. I sigh and, for the sake of friendship, spill out a few. This always happens when people are in a supermarket and in a hurry… time was wasted on meaningless stuff and wine ends up always being bought in a hurry, from the first fridge along the away. Usually, they go for Quinta da Pacheca. These wines are found in the modern distribution chain, they are good-quality and present affordable prices. I have liked wine for quite a while now and am a diligent militant. Nowadays, it’s easier to find a good wine than it was 20 years ago. Back then, there were few brands, labels were bad, but not only the look was bad. Still, there were already more than two handfuls of quality wine. Some have disappeared and others survived. 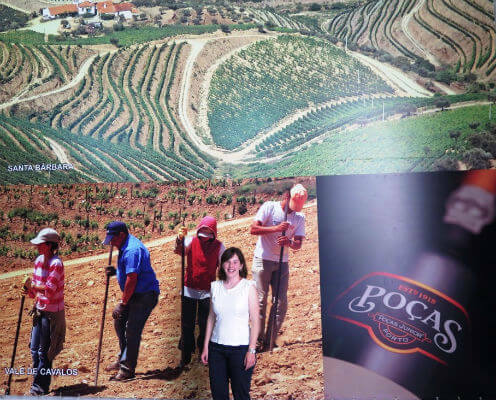 Quinta da Pacheca has been bottling for ages and I have often bought from this company. 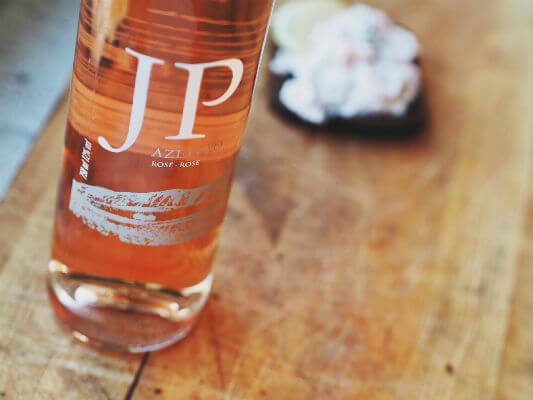 This producer popps up in my brain – on its good side – for many reasons: for having been introduced during my first long-lasting adult relationship, because my surname is Pacheco and because of the Riesling. 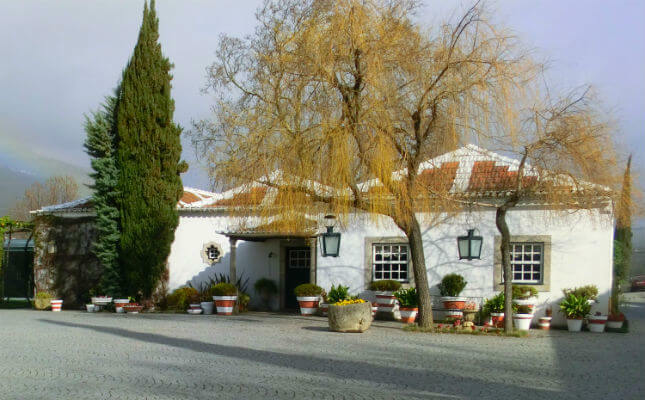 Much ahead of its time – apparently – Quinta da Pacheca was already producing single-variety wines, especially Riesling. This made for a happy buzz for those who didn’t have the pockets for foreign wines and wanted to, like a sponge (! ), soak up the experience. I defend Portuguese varieties, but I am never shocked if foreign varieties are farmed, as long as they aren’t certified as DOC (Denominação de Origem Controlada – Controlled Source Denomination for Portuguese Food & Beverage). Riesling from Quinta da Pacheca often comes to mind. So far, people have realised that foreign varieties haven’t generated any advantages. 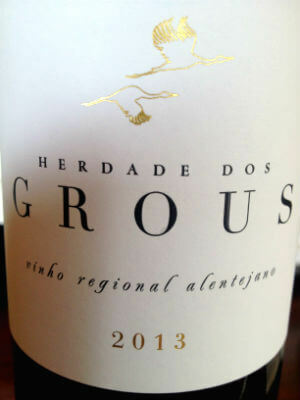 Douro wines take on the identity of autochthonous varieties. In this case: Cerceal, Malvasia Fina, Gouveio and Moscatel Galego. I can’t remember the Quinta da Pacheca range from the 90s. It’s quite wide these days. 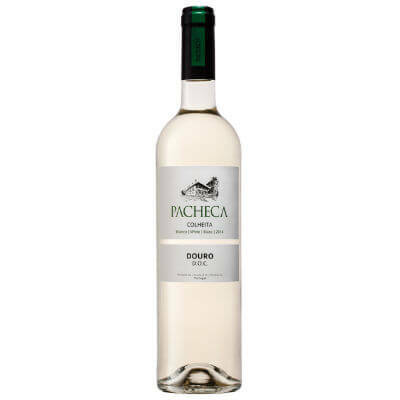 This Quinta da Pacheca Colheita white 2014 is easy and self-confident, well done. It has the Douro accent and the breeze from Lamego. It’s refreshing, with a healthy 12.5% alcohol. I think it has everything it takes to please many people, especially the price – they recommend charging five euros minus one cent. I am not everybody. I understand why the “Galician Moscatel” variety (Moscatel Galego) was included in the plot of land. 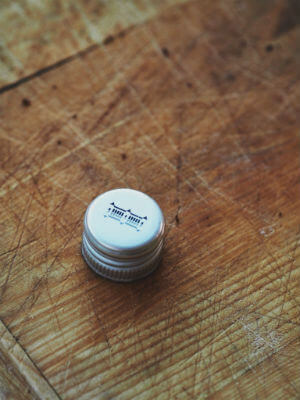 It makes the wine easier to drink and harder to resist (it’s not a flaw). Seeing as whites are usually drunk too cold, the sugar in this will bring out what could have been missing. 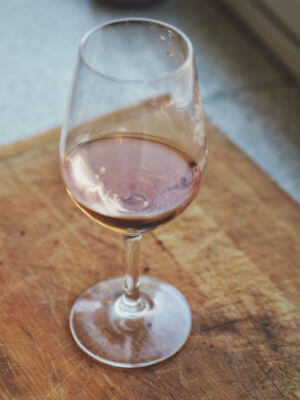 To me – someone who doesn’t have so much as half a litre to sell – Moscatel Galego should be excluded. It isn’t contributing to the Douro identity; I am not a fan of this variety. I have my personal taste; however, I write for the world to read and thus must step off the scales. This wine deserves to be bought and it will certainly be hard to let go. 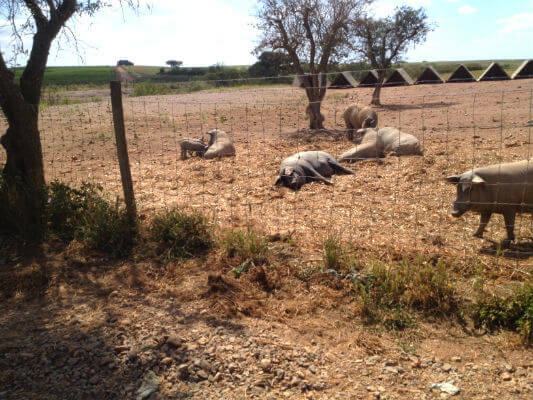 For more on Quinta da Pacheca read José Silva‘s previous article here. 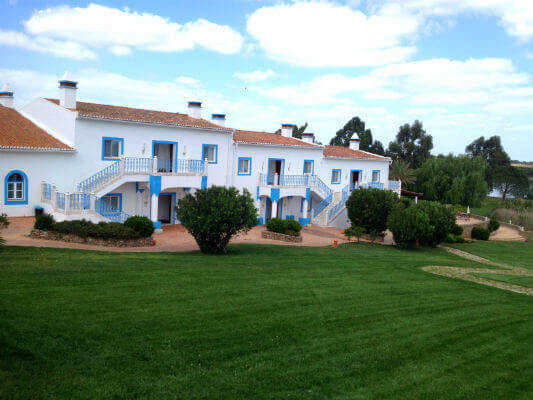 This exemplary rural unit is located in the Alentejo interior, south of Beja, and it belongs to a German group. In Albernoa, the Philosophy consists in combining a typical Alentejo hotel with a rural environment, where ecological care is a priority. 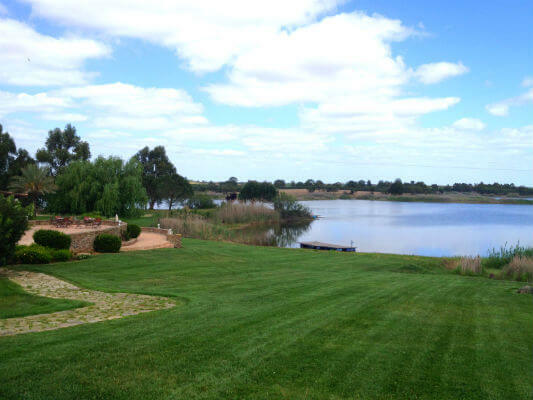 Firstly, the very beautiful lake gathers the perfect conditions for Ornithology. 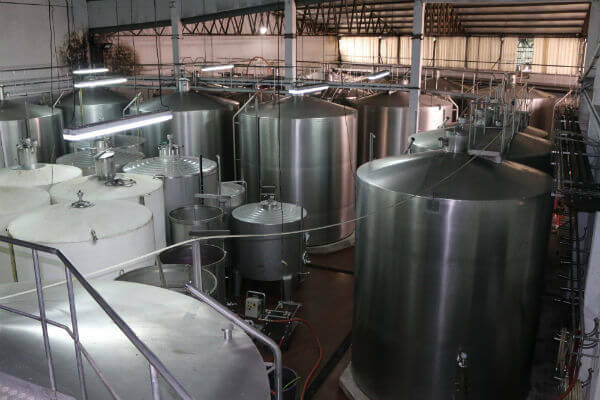 This unit produces many different goods, and wine is one of the best, its wines constantly earning awards across the world. 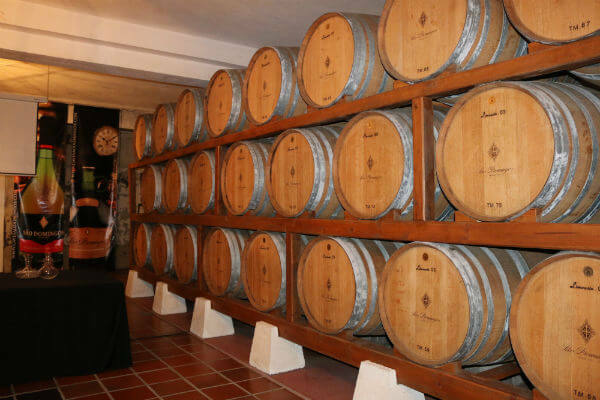 They are produced from very good quality grapes covering about 170 acres of vineyards, white and red. 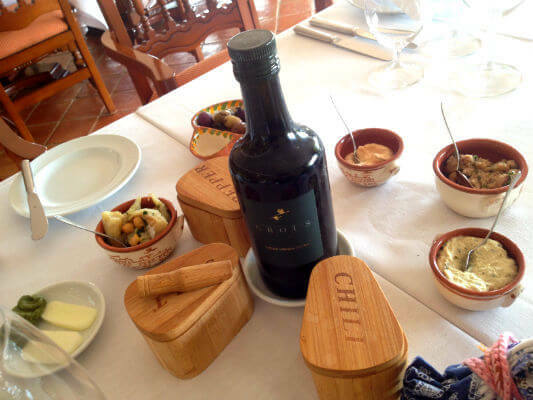 Much more is produced here, such as herbs, vegetables and fruit, which grow all year in a bio regime, and are mostly consumed in both hotels: Alentejo and Algarve. Cattle are another great produce, comprising cows, goats and pigs, whose meats are widely consumed in the group’s restaurants. The jumping horses are another of the land’s ventures, some of them being thorough-breed, and claiming excellent results internationally. Furthermore, the company produces a very high quality olive oil, jam, honey and several biscuits. The cellar operates in the main building. 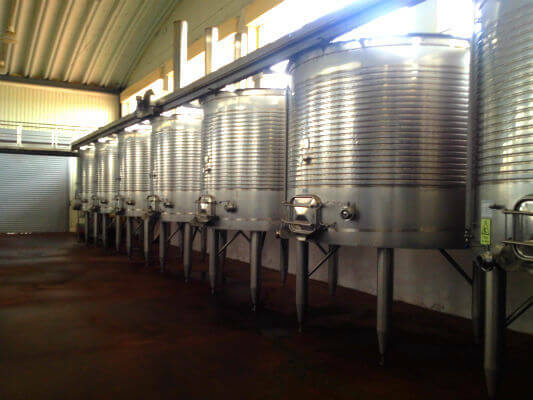 It was built from scratch and includes all the modern technical facilities for producing quality wine. This has been achieved continuously, also thanks to the leader of the entire team (not only dedicated to wine), Luís Duarte, one of the most awarded Portuguese oenologists. 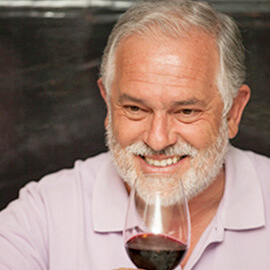 He has vast experience producing wines throughout Alentejo, and in the hotel he is also the Manager. Rigour seems to be the watchword, with every member’s tasks and responsibilities well outlined. Luís Duarte has succeeded in putting a clearly winner team together. The results speak for themselves. 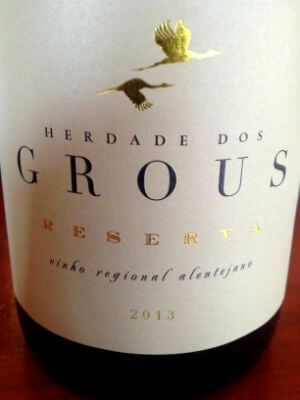 All Herdade dos Grous wines belong to this brand, maintaining a sober image, which has grown on customers. Only its label’s colours change and, of course, the year of the harvests. On this visit, we tasted six superb wines with a delicious meal. The 2014 White proved very refreshing and young, with beautiful acidity, some fruit in the nose, and the wine quickly fading out of the glasses. The 2013 White Reserva revealed a lot of elegance, soft woody notes, some freshness, very soft – quite velvety. To be drunk slightly less cooled – a beautiful wine. 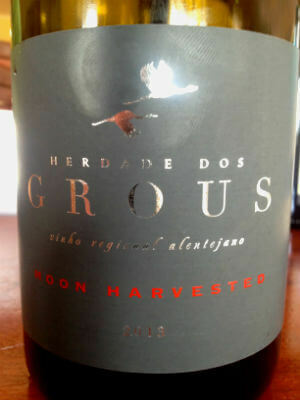 The first red, Herdade dos Grous 2013, was solid, with a lot of ripe fruit, a lot of good acidity in the mouth, clean, round, a modern wine. Then followed Moon harvested, also from 2013, with good aromas of very ripe fruit, complex but very soft spicy and woody scents, beautiful volume in the mouth, consistent and full of elegance, with a very lasting finish. 23 Barricas, of 2013, is made with Touriga Nacional and Syrah; a very structured wine, with good character and a complex but fascinating and slightly floral nose. In the mouth, it has volume, excellent acidity, a lot of dark fruit; it is lightly austere, deep, and with a never-ending finish. By the end of the meal, 2012 Colheita Tardia slipped into our glasses. Here, they prepare it with the Petit Manseng variety. Its grapes were injected with “Botritis Cinerea”, to create the necessary features for a very special wine. Where sweetness is strong, it is compensated with amazing acidity and somewhere in-between are complex spicy aromas, notes of honey, jam and ginger. However, everything is very balanced, and served cool. Delicious! The meal, in the vineyard’s restaurant, started with bread from the region, olives, two different pates, normal butter and butter with herbs, tuna with black-eyed beans, cod with chick-peas, cured chease, paiola, paio (spicy pork sausage) from the neck and, of course, olive oil from the land in which to dip bread. 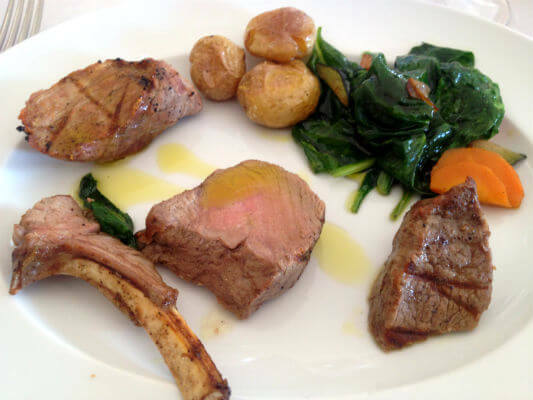 After some scrambled eggs with wild asparagus came the meats from the land: lamb, black Iberian pork and Alentejo beef. 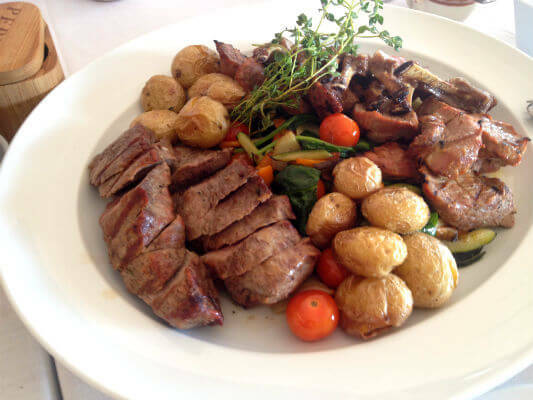 They had been grilled only in salt, and served with a side of (literally) punched potatoes and sautéed vegetables, all local produce. 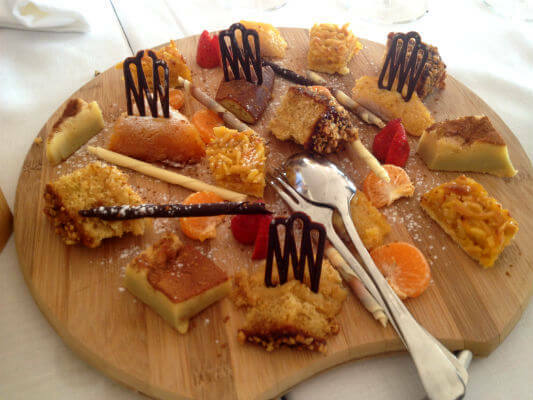 The mix of Alentejo sweets disarmed us all! Thanks to Grandpa Alfeu and his dedication to vineyards and to the field, his grandson João Amado, founder of Amado Wines, felt inspired to begin a new adventure: producing his own wine. He created a brand that is, most of all, a tribute to a man in the field, in love with the earth, inseparable from his hat – now featured on the labels. 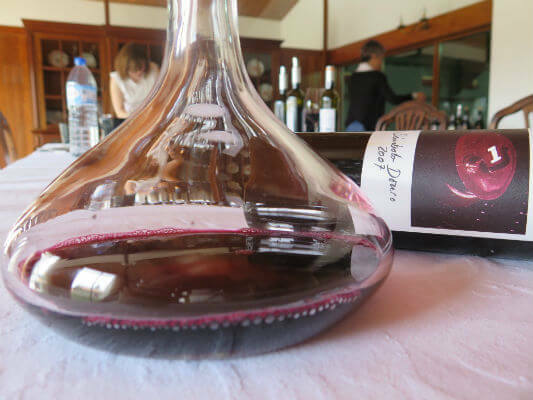 I first heard about this project last year, around the time when Festival do Vinho do Douro Superior (Douro Superior Wine Festival) takes place, in Vila Nova de Foz Coa, and is aimed entirely at producers from the Douro Superior sub-region. This event is one of the few where it is possible to discover new talents, meaning producers who, in away, have never been heard of, nor was a word ever written about their work. That is why these events are organised; to show us they welcome us with open arms and are happy to present their work. This was how I came to hear about the wines; last year, when João Amado wished to pay tribute to his grandfather, and whose new harvests have very recently been tasted. 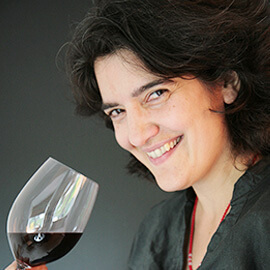 Joana Maçanita oversees Oenology (see Maçanita Douro article). 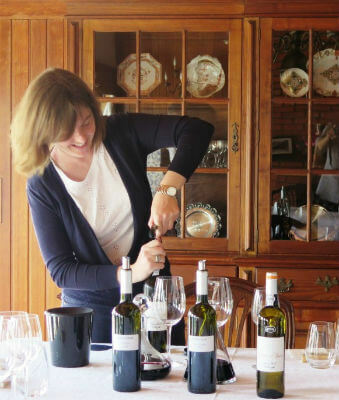 Both Alfeu white 2013 and Alfeu red 2012 have displayed a strong character – given the region – and a little boldness, which goes down so well on me. 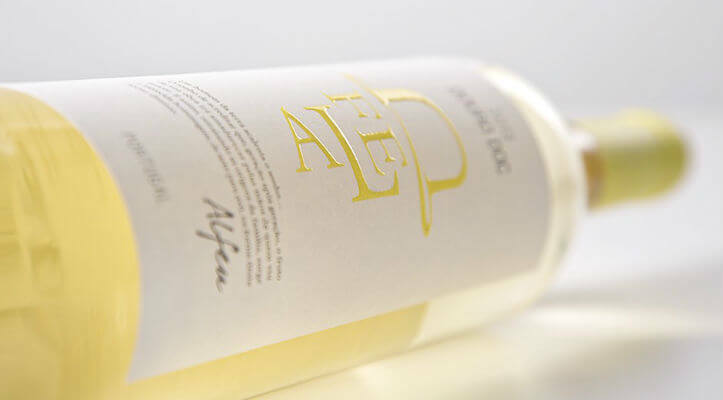 Alfeu white 2013, comprising Viosinho and Malvasia Fina in a beautiful 12.5% alcohol, presents a cohesive body, with a lot of fruit alongside aromatic herbs, a touch of flowers and a refreshing background. The palate is also distinguished for its ripe fruit and jam, the wine is slightly dry and memorable for its strong persistence. 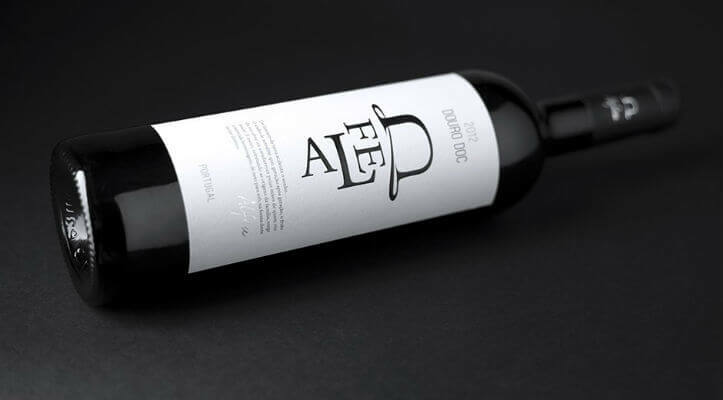 Alfeu red 2012 contains Touriga Nacional and Tinta Roriz, the former in the lead. Cohesive, with a lot of ripe fruit surrounded by dark chocolate, and with a twirl of the glass, some flowers emerge, suggesting Touriga Nacional. A very faint austerity is present from the beginning in a serious body with good energy. A firm wine based on a solid structure. From the first sip, it shows vigour and a pinch of austerity that comes from the cheekier tannins. The fruit bursts with flavour along with cocoa; it ends somewhat dry, and begging for a lamb roast, or for some more time in the cellar. In the producer’s cellar, two more reds still age; two new releases composed of 100% Touriga Nacional, and one Reserve. In the tasting, they proved still a little green and not very ready to face the world. They are, however, as serious as the rest of the range, and are very centred on the fruit, but revealing a leap in quality. 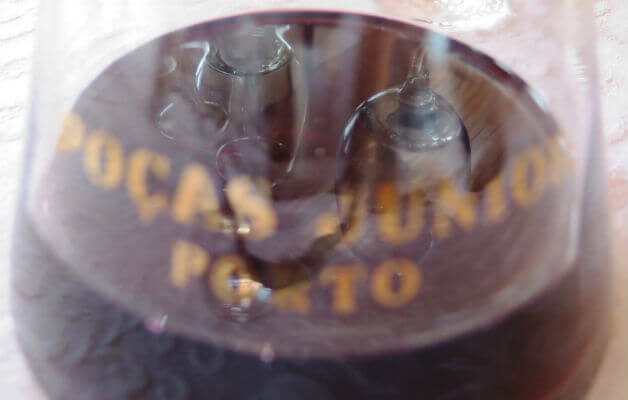 Port is so emblematic of Portugal that it’s hard to believe that Poças Junior one of only a handful of Port Houses which has remained in the same family (and for that matter, Portuguese ownership) since it was founded nearly a century ago by Manuel Domingues Poças Junior. When I met with Chief Viticulturist Maria Manuel Poças Maia, she left me in no doubt that her generation – the fourth – are absolutely determined to keep it that way. Of course Pintão was not the first Douro winemaker to take inspiration from Bordeaux. Fernando Nicolau de Almeida, creator of Barca Velha, claims that distinction. But thanks to Pintão’s continuing relationship with the prestigious French region (Maia says “he never lost contact with Bordeaux”), Poças has now gone a step further. Last year, the company secured the services of Bordeaux winemaker and consultant Hubert de Boüard de Laforest, owner of the acclaimed Château Angélus, in Saint-Emilion. Together with Philippe Nunes of Hubert Boüard Consulting (who, coincidentally, is of Portuguese parentage) the Bordelais duo helped craft Poças’ 2014 Douro wines. Before I tasted samples of the new, improved 2014 wines (none yet released, the reds unfinished), we discussed what changes have been introduced following the appointment of Hubert Boüard Consulting. 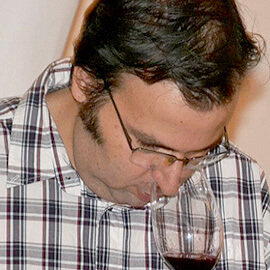 Describing them as “slight refinements,” Maia explained that the overall aim was “to make a more international style – a lighter perception of Douro wines because Douro wines are seen as very tannic, very strong and difficult to drink.” In the vineyard this pursuit of elegance, especially more refined tannins, has involved tweaks to fruit sourcing. Grapes now come from riper parcels and Boüard has introduced a younger vine (15 year old) Touriga Nacional component to the predominantly old field blend flagship red Simbolo. Obviously, it is very early days to reach any definitive conclusions about this Douro/Bordelais relationship, or the 2014 wines. 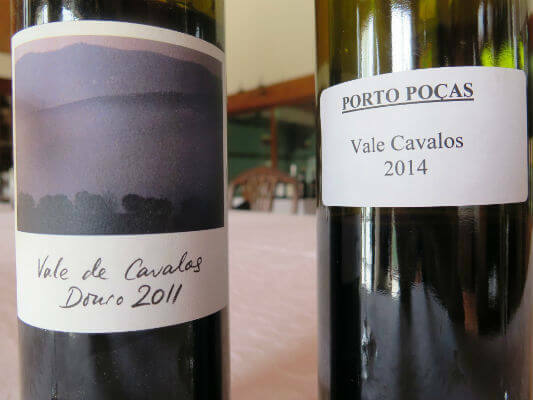 However, having compared Poças Coroa d’Ouro white and unfinished (barrel) samples of both reds Vale de Cavalos and Simbolo with earlier vintages (the 2013, 2011 and 2007 respectively), I suspect Poças will not only be celebrating their centenary in 2018 but also a sound return on their investment. Despite their youth, all three wines displayed greater refinement to the finish; the improved length of the white and tannin quality of the reds was especially striking. The 2007 Simbolo tasted fully mature and more developed than expected; rather drying tannins were already starting to out-pace the fruit. On the other hand, Simbolo 2014 impressed with its fine, fluent tannins. The sample I tasted was vibrant, perfumed, and mineral with a very long, elegant finish. Showing great potential, I reckon it will deliver more pleasure and for longer than the 2007. 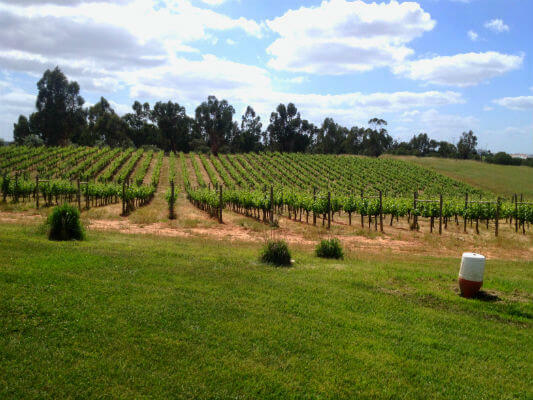 It’s a testament to the winemaking when 2007 was a highly acclaimed (classic vintage Port) year and 2014 was much trickier, with intermittent rainfall at harvest. I look forward to tasting the finished article. While, with a touch of je sais [Hubert Boüard Consulting] quoi Poças’ range of 2014 Douro wines may be new, improved and higher profile, some things don’t change. 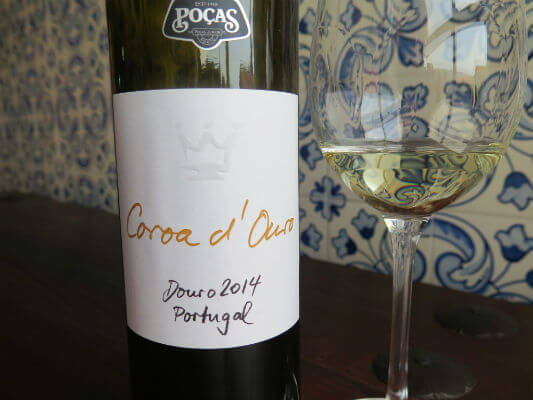 I’m told Poças intend to maintain the family’s tradition of focusing on a good relationship between cost and value (the current release of Simbolo retails for £30-35/bottle). As Maia puts it, “we are about quality not quantity but without having unreachable prices.” I’ll drink to that! In 1780, Van Zeller’s & Co was established as a Port wine company. They sold wine until 1930. 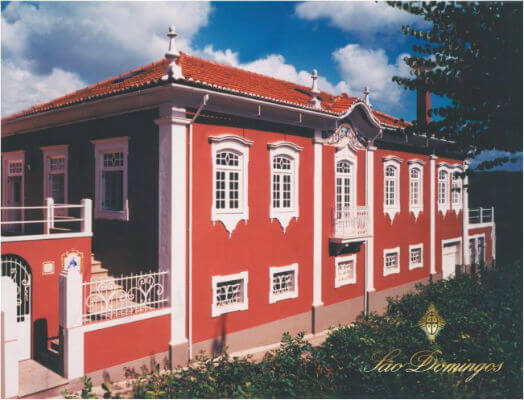 During that time, the company was sold to another Port Wine group, having been rebought in 1933 by Luís de Vasconcellos Porto, who was, at the time, the owner of Quinta do Noval. This purchase made a generous offer for his grandchildren (children of his only daughter, Rita de Vasconcellos Porto, who was married to Cristiano van Zeller’s grandfather). Hence, Van Zeller’s & Co.’s several brands were merged with Quinta do Noval, just as “Van Zellers” and “VZ” were. In 1980, a decision was made to revive Van Zeller’s & Co., making it independent from Quinta do Noval, giving it its own land and stocks of Port Wine. 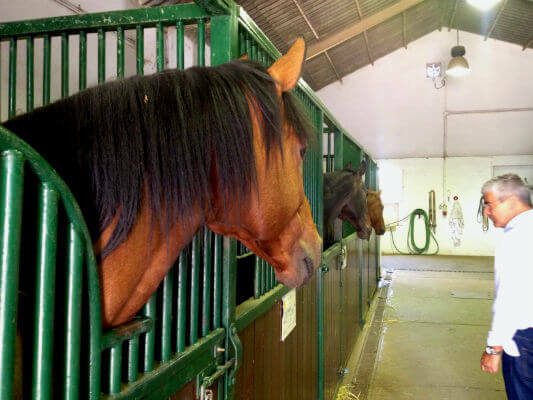 This wish was, however, put on standby when Quinta do Noval was sold to AXA, and Van Zeller’s & Co. was sold to the owners of Quinta de Roriz, who were cousins of Cristiano van Zeller’s. 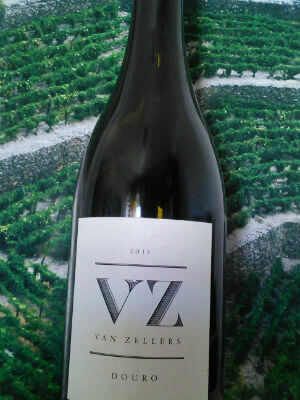 Time went by and only in 2006 were Van Zeller’s & Co. and all its brands handed to Cristiano van Zeller – also the result of a generous offer by a family member. The new wines quickly emerged in the market, firstly a high-end VZ Douro white 2006, whose grapes – (Viozinho, Rabigato, Codega and Gouveio) aged on average between 50 and 80 years – come from Murça. This VZ Douro 2013 is a beautiful white, fermented, and aged in casks for 9 months, including a battonage by a team of luxury oenologists: Cristiano van Zeller, Sandra Tavares da Silva and Joana Pinhão. It results in a characterful tasting, the Douro very well outlined, standing out from a mix, weaving and involving it with light toasted notes from the cask, and fruit (peach, citrus, pear), cohesive, serious, marked by a lasting mineral finish. The description above equally suits the wine’s passage through the palate: a very good presence, ample, with light mineral austerity in the background. The total blend suggests consuming straight away or saving it in the rack for a few years. Lemos & van Zeller, Lda. 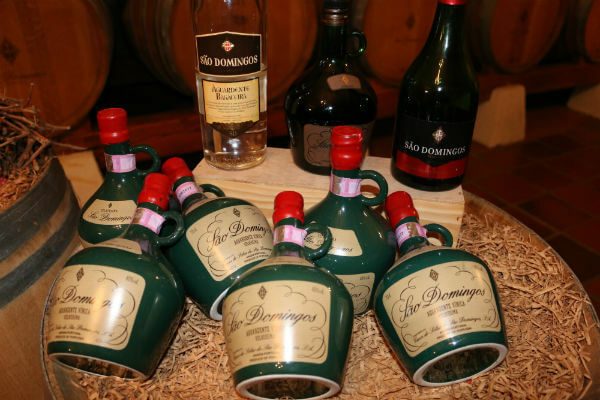 This São Domingos was the brandy made by Caves São Domingos, and very popular as a high quality spirit. 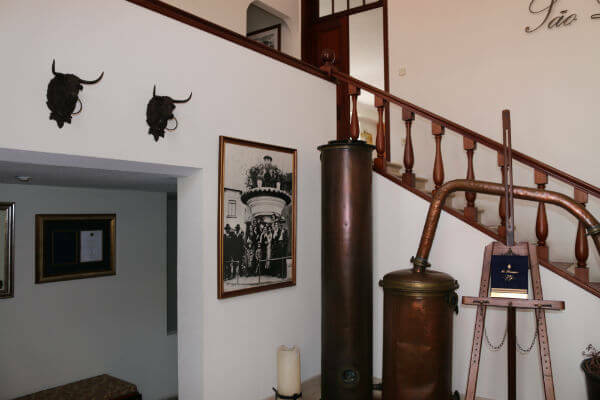 Times went by, drinking spirits became less and less popular due to a law that emerged in the meantime, but Caves São Domingos are still there and, among many other products, they produce this and other very high quality drinks. 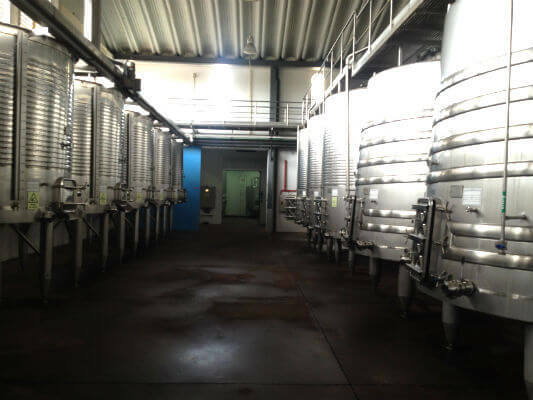 The cellars still include the facilities in Anadia, but have been growing and have been producing not only more wines and spirits, but also a broader variety of products. Although the main – and most renowned – product is the sparkling wine, their prestigious brandies have kept the traditional customers coming as well as broadening the range of consumer types, who search more and more for genuine products. 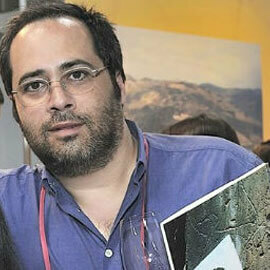 Table wines, from the regions of Bairrada and Dão, have taken over the front page of the company’s portfolio. 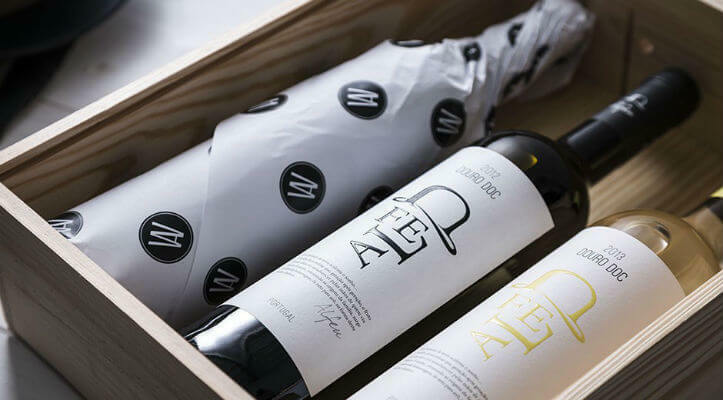 All these developments make them want to stay up-to-date, which is why the company now has a modern cellar and all the technology available – especially the Cold Chain that enables them to make modern attractive wines. Furthermore, they can also keep producing sparkling wines distinguished by national and international experts, and by the end customers. 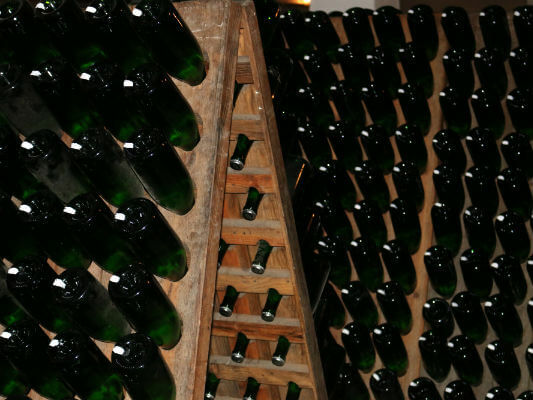 In their cellars now age more than two million bottles of sparkling wine, of several categories, and which are released in the market according to demand. 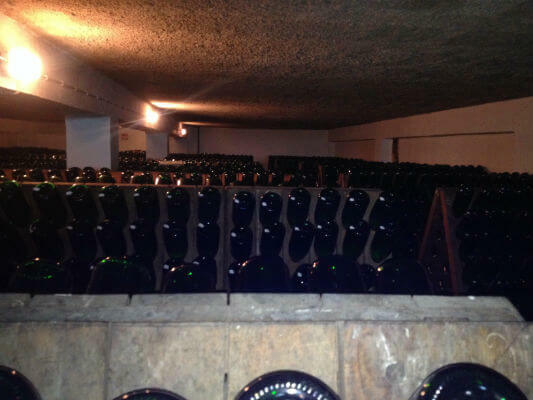 They still rest in the traditional riddling wine racks, where bottles are turned by hand every day. 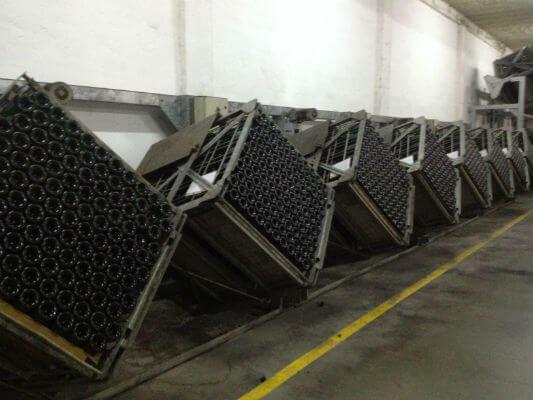 Those racks coexist with the most modern method of remuage (turning bottles periodically) and allow for producing a larger amount of sparkling wine while ensuring the quality. 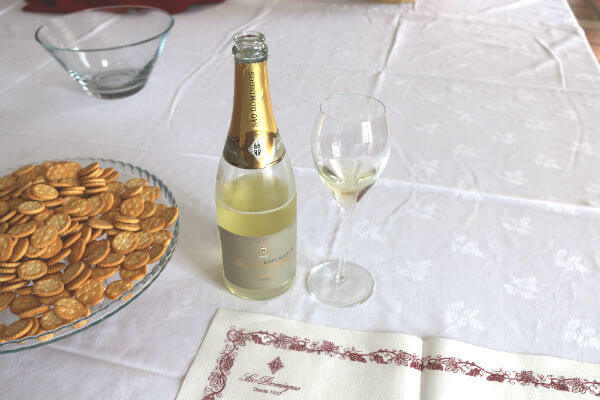 Thanks to great care in dissemination, participation in countless national or international fairs and wine tasting events throughout the country, sparkling wines are more and more consumed with the rich Portuguese cuisine, which goes far beyond roasted suckling pig – although a still very popular and very good natural partner. This is also where they store the liqueur demi-johns and the ageing casks for several brandies produced in those cellars. 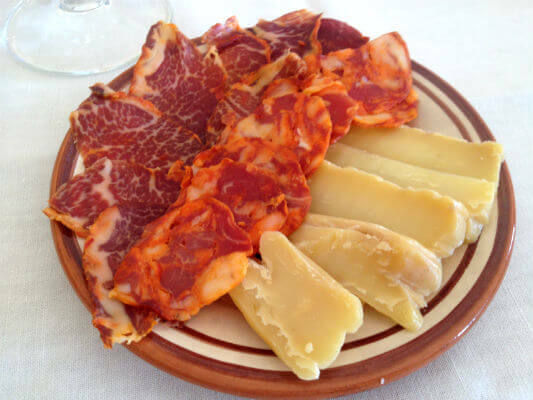 The latter are known in many markets as the best in Portugal. São Domingos wines are made of grapes from their own vineyards and other producers’ vineyards in Bairrada and Dão, who the company assists with technical matters, ensuring top quality raw materials. 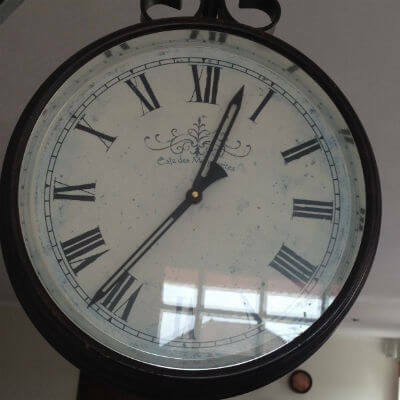 In the main room, the old wall clock reminded us that it was time to taste some wines. So we did, with Caves São Domingos white 2014, of floral aromas and some citrus lending the Maria Gomes and Bical varieties. 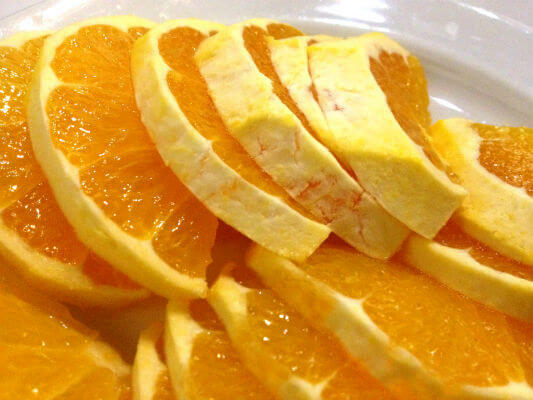 In the mouth, it feels velvety, slightly citrusy, flavourful and very enjoyable. 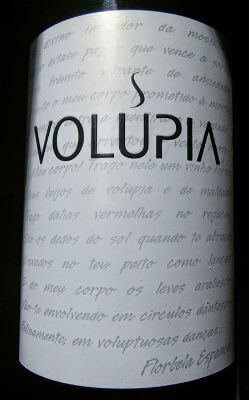 Next was Volúpia White, also a 2014, although comprising Sauvignon Blanc, Chardonnay and Maria Gomes varieties – a modern wine and very fresh, very mineral, with excellent volume in the mouth, very balanced acidity and filled with elegance. 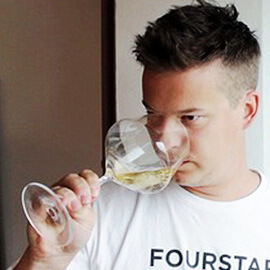 – For a more detailed insight of these white wines please check João Pedro de Carvalho previous article here. Then, the sparkling wines. First, Velha Reserva Brut 2008, made of Pinot Noir and Chardonnay, very fresh floral notes in the nose, hay, brioche and a little hint of toast. 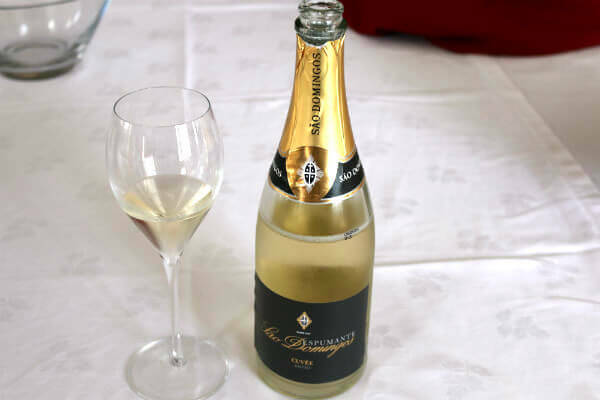 The bubble is very fine and elegant, it was refreshing in the mouth with notes of nuts. 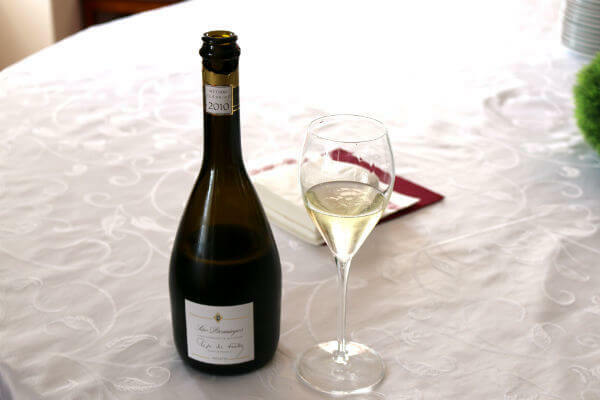 Following, the Cuvée Brut 2011, with Baga and Sauvignon Blanc, had some complexity in the nose, it was fruity, with dry notes, a very refined bubble, very refreshing in the mouth with a hint of toast, very soft notes of almond – a very elegant sparkling wine. Finally, we tasted Lopo de Freitas Brut 2010, already a classic wine by this company. Cerceal and Chardonnay make an excellent match, their bubbles very refined, slightly fruity aromas, somewhat exotic. 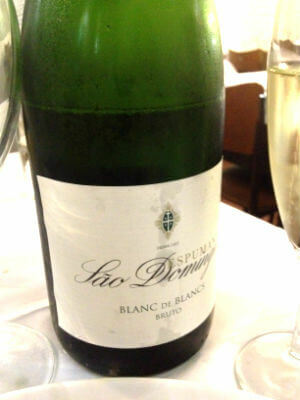 In the mouth, it has excellent acidity; it is full, creamy, with light notes of nuts and a lasting and pleasant finish. Present in the roast suckling pig was Blanc de Blancs Brut 2011: very fresh, mineral and with some citric suggestions, great acidity and battling the pork. 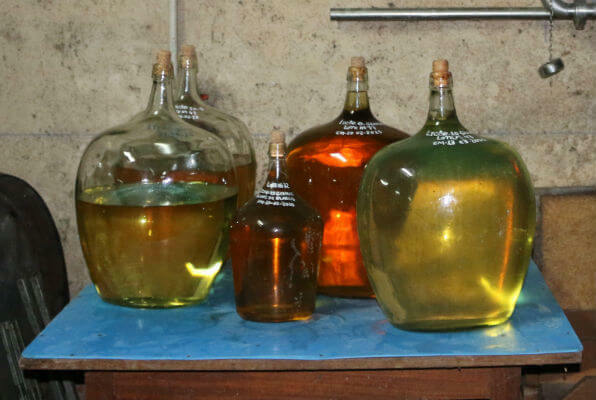 Since 1937, the company named Caves do Solar de São Domingos has been producing bubbly wines, aguardente velha, bagaçeira (wine spirits), and Bairrada and Dão wines. Their arcades were carved into rock. It is definitely worth it to visit this wonderful hub where more than two million bottles of bubbly, many thousands of bottled wines and hundreds of small barrels are stored in French oak – for it’s infamous wine spirit. A few of their bubbly wines are in my list of national favourites. However, I will be focusing on the new white wines in this article, the 2014 editions that have just been launched. The 2014 harvest was tricky given the heavy rain. Those who harvested wines before the rains were lucky and got great quality white grapes. These words were repeated throughout the country, although the potential white casts of later ageing was mourned, but fortunately the early-ageing whites gave birth to high-quality wines. In this case, this means two whites of 2014. They are quite distinct from each other. 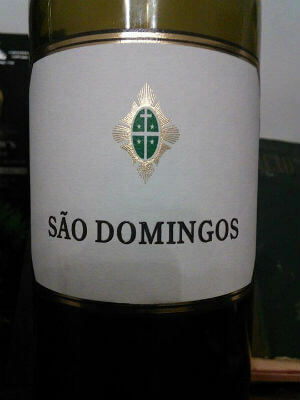 While São Domingos is faithful to the Bairradino profile – its plot of land is mostly composed of Maria Gomes (80%) and Bical (20%) –, the grapes from S. Lourenço do Bairro, Vilarinho do Bairro and Ventosa do Bairro, grown in grounds rich in sand and clay, resulted in a white wine that is briefly passed through the cold stainless steel. Its aroma is very clean, mostly fruity, citrus, white pulp, flowers for a scented profile, creating a good environment, in the nose as well as in the mouth. A good presence in the palate, evident clean fruit; it shows some grasp with some mineral dryness in the background. 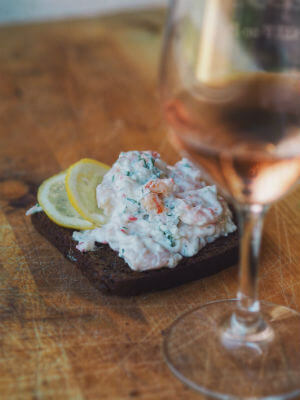 A good white to have with a meal, for instance swordfish in a coal-oven or even fish soup. The other white is the most innovative side to this producer. Volúpia 2014 is wrapped in a poem by Florbela Espanca, from Vila Viçosa. Invoking voluptuousness and seduction, desire and flavour, the search for harmony and the pleasure of drinking a white grape. A desire to love deeply, to love for the sake of love itself, to love near or love far. That would be how Florbela Espanca would have defined this deeply poetic white wine – very sensual and bold, deeply personal and feminine. 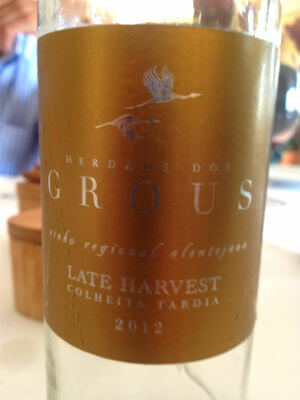 It comprises Sauvignong Blanc (50%), Chardonnay (35%) and Maria Gomes (15%) that come from Carregosa and are briefly run through stainless steel. It produces a different result, of a complex aroma but very fresh and perfumed, and with notes of very mature fruit; clean and mouth-watering. It is, most of all, a captivating wine of a delicate scent; its tasting reveals a mouth that gracefully combines volume with freshness. 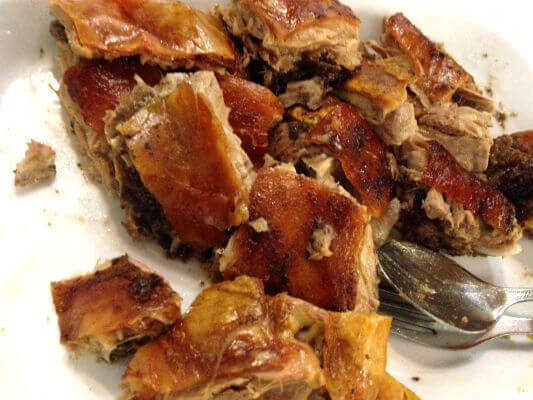 It has acidity and structure, it is well-able to entertain more oriental-flavoured meals, or to enhance a wide-range of tapas in a late-afternoon on a rooftop terrace.